East Yorkshire Delivery Company is a family run business based in the historic Market Town of Beverley, East Yorkshire. East Yorkshire Delivery Company is a well established business with in excess 14 years of experience in the removal industry and also retail deliveries industry. We have a massive regular customer base within the removal and delivery business which takes us through the whole of the UK and Ireland. 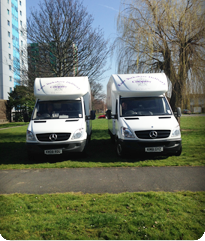 We like to think of ourselves as the company with the whole package, removals with well trained staff who have been with the company from the beginning who understand the pressures and stress of our customers on moving into there new homes/offices. East Yorkshire Delivery Company work alongside Armadillo storage, Store More Self Storage and Poppy Storage for those who may need to move into storage. Whether it be to complete the sale of their property, to those who may be doing restoration work to their own homes or those who may be relocating with there career changes. Whatever the reason we are here to cover all aspects of your moves weather it be residential or commercial. East Yorkshire Delivery Company offer packing services with packing materials national and European, we offer dismantle and rebuilding services of your furniture, we can cater for everybody’s individual needs. With the delivery side of the business, we look after a large range of exclusive retail furniture stores within the whole of the UK, from Beverley to Knightsbridge and London to Ireland and many more. Within Beverley, we deliver for stores such as Multiyork, Laura Ashley, Ladygate Interiors, Carol Bird interiors and Alexandra Ellis. Within the City of Hull we deliver for Beds on Legs, Argos, Shakers Furniture Store, Magnet Kitchens, Maiden Head Aquatics and the bespoke kitchen company Hepworth & Wood. We are local to the East Yorkshire area, however we work nationwide throughout the UK, Ireland and Europe. We are based in Beverley, just outside of Hull, where we have established many local contracts and regular customers who use us repeatedly.